If you decide to make a claim and need any assistance with your claim, we will glady help, plus speed up the repair procedure. We can email the estimate and digital images of the damage direct to the insurance company or broker and arrange for the assessors inspection. 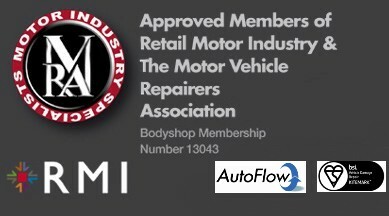 It has been agreed with Office of Fair Trading and the British Board of Motor Insurers that as a motor vehicle insurance policy holder you have right to choose where to have your vehicle repaired. 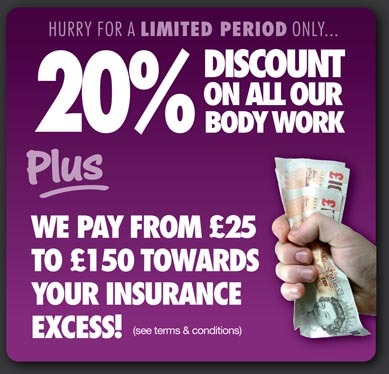 Although the cheapest estimate will satisfy your insurance company, will the cheapest repair satisfy you? If any negotiation is required, we will do this on your behalf with you insurance company?s nominated assessor. We will endeavour to carry out the repairs to complete satisfaction as quickly as possible and provide an assurance that the highest standards of workmanship will be maintained at all time through the repair process.